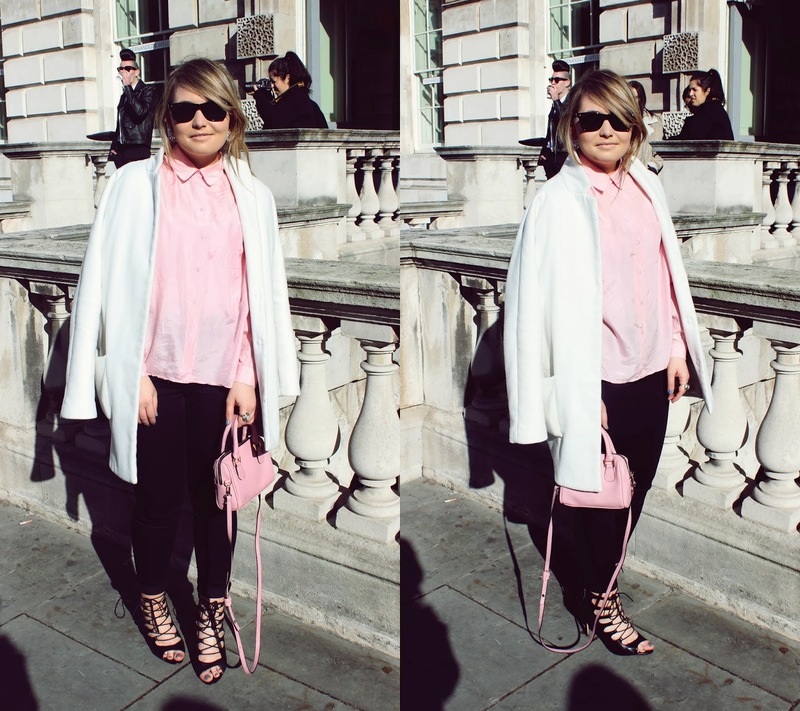 This is what I wore for my second day shooting Street Style at Somerset House. Two things surprised me. The fact that I'm wearing pink. And the fact that these shoes didn't destroy my feet. Miracles do happen after all. This bag was a last minute fashion week buy. And now I have completely fallen for it. It's just so darn cute! Pink is definitely the colour of the season. I lost count of the amount of beautiful pink coats I seen. I think its time to get out of my black & white rut. I'm very tired - which means I'm in danger of rambling on. So I'll stop now. More tomorrow. Pink really suits you, paler pinks never looks good on me. and yes i'm surprised the heels werent painful :) hope you had fun!